Craft breweries are emerging all around the United States. According to the Brewers Association, craft beer sales grew 12.8 percent in 2015, and make up 12.2 percent of all beer sales in the United States. However, while the craft beer scene is growing nationwide, it hasn’t grown at the same rate in every U.S. city. But, lucky for us, Austin has a fantastic craft brewery scene! 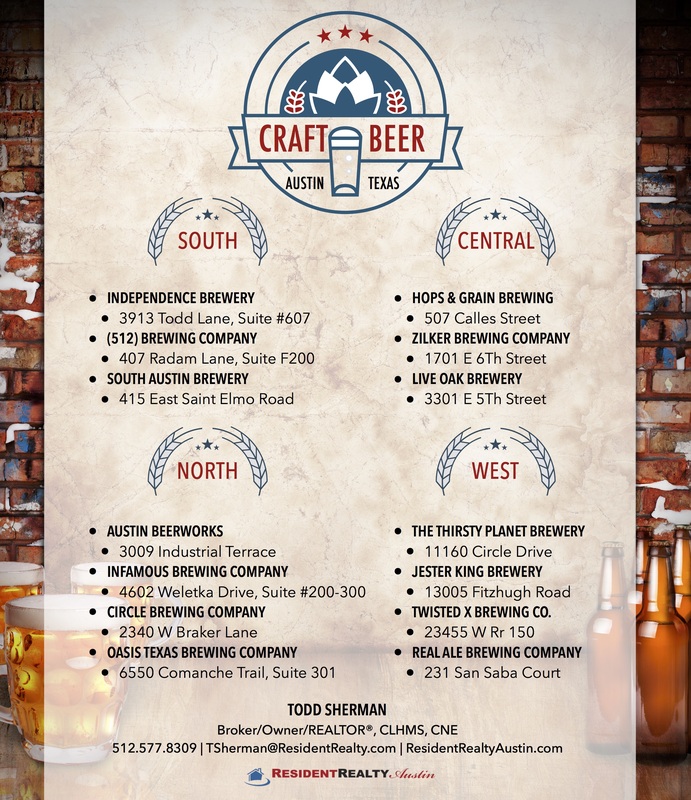 Do you have a favorite Austin craft brewery that didn’t make the list? Let us know. We would love to add it to our list. As longtime Austin residents, we have the knowledge and experience to answer any questions you may have about the Austin area. Give us a call anytime.